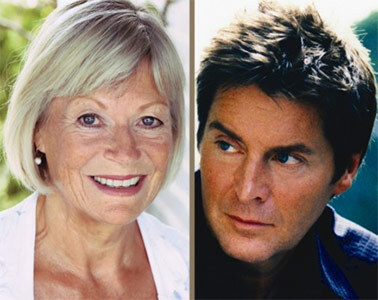 Annabel Leventon and Robert Meadmore return to Crazy Coqs in a new show exploring songs of love and experience in their new show Imperfect Relationships. Following their appearance in Jerry Herman’s Dear World at Charing CrossTheatre, Annabel Leventon and Robert Meadmore explore songs of experience in their new show, Imperfect Relationships at the Crazy Coqs. Together they performed an eclectic mix of works by Irving Berlin, Rogers and Hammerstein, Gershwin, Dorothy Fields, Cy Colman, Jacques Brel and Stephen Sondheim, as well as new and original pop/rock material interspersed with stories from their extensive careers in theatre and film. Among their many theatre and film credits, Leventon originated roles in Hair, The Dresser, the Olivier-award-winning Honk! The Ugly Duckling, and worked with Peter O’Toole in Jeffrey Bernard is Unwell. Meadmore has appeared in many West End musicals including The Phantom of the Opera, Oklahoma!, Brigadoon and Camelot with Richard Harris, and also recorded a classical album After a Dream, which reached number 2 in the classical charts and was nominated Record of the Year at the Classical Brit Awards. Opening with “Anything You Can Do” and Sondheim’s “The Little Things You Do Together”, the frisson and spiky rapport between the two was set for the evening. Songs examining the sharper side of love and its pitfalls are performed with humour and affection, and held together with excellently crafted narrative links. One of the finest and most deft of these was into Coleman and Fields’ “Nobody Does It Like Me”, with Leventon’s description of her once inviting for coffee a man who made a career of playing Hitler, and the terrible secret he harboured. In this generally very well programmed piece, the one song I had a slight reservation about in the first half was “Ne Me Quitte Pas”, which didn’t quite work with the overarching tone set. Still, there were enough top class moments to make this totally forgivable, including a beautifully personalized take on Loesser’s “Do You Love Me?”from Fiddler On the Roof, and Meadmore’s lovely rendition of Harnick and Bock’s “She Loves Me”, where every line was nuanced and imbued with meaning. The second half had a calmer and more sophisticated feel and housed some real gems. Again, there was some skillful linking of pieces to work together to give each song a new meaning. I also particularly liked the joining of “I Love A Piano” and an original song with lyrics penned by Leventon herself, “Piano Player”. These subtly gave pianist and cabaret performer in his own right Stefan Bednarczyk a chance to shine. His robust yet sensitive playing was a treat throughout. Keeping things in the family, another standout song “Upside Down” was written by her son Harry Adams – the simple, but effective folk-pop ballad which helped highlight Leventon’s versatility and wide-ranging vocal styles. Duet shows do not come around all that often, and this one is particularly charming. The voices blend well, it is personalized, and there is a good mix of surprises in the material alongside the standards. A good vehicle for them both. This entry was posted in Cabaret Reviews and tagged Annabel Leventon, cabaret reviews London, Crazy Coqs, fiona jane weston, Robert Meadmore, Stefan Bednarczyk. Bookmark the permalink.